We love hearing from quilters like you about how NQC has helped you become a better quilter. 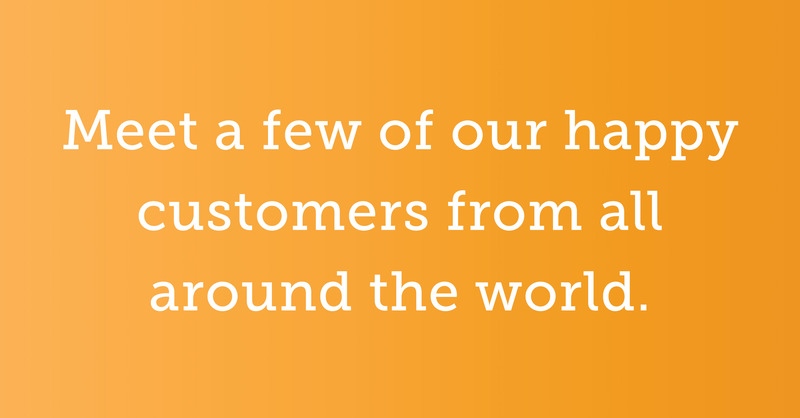 It warms our hearts to read your kind words! If you have a thought or story to share with us, send us an email at editor@nationalquilterscircle.com or reach out to us on Facebook. Happy quilting! National Quilters Circle is like hearing a pep talk of encouragement to get to my studio and get to work. I eat, breathe, and love fabric, color, and simply the sound of a sewing machine running even if it isn’t my own! What a beautiful discovery you are! I will be sharing NQC with my quilt groups! I was pleasantly surprised by the content, being a Craftsy fan. But I can honestly say that I’ve learned so MUCH. All of the teachers are great. I appreciate Heather as many of the videos I have viewed were by her. The videos are short, straight, and to the point. Thank you very much. It is nice to have a company that actually takes care of their members. I love all your videos and information because they inspire me to challenge myself! The tutorials I saw gave me new ways to use skills I already have to make unique quilts and quilted items. I love the instructional videos. I like being able to go back to them when I want to use a technique and can’t remember all the steps. I believe in being a life-long learner and the new weekly videos are a great way to keep up. It also is economical for what is offered. I just found this wonderful site and have only recently begun quilting, so access to all this knowledge with a click is incredible. Thank you to all the ladies who so generously share their quilting and sewing know-how. I live in the UK, and am so looking forward to learning all I can! There are some really good videos. I just watched one on free motion that was amazing! Thank you again for all your inspiration. Keep up the good work and thanks for being there for all us quilters. 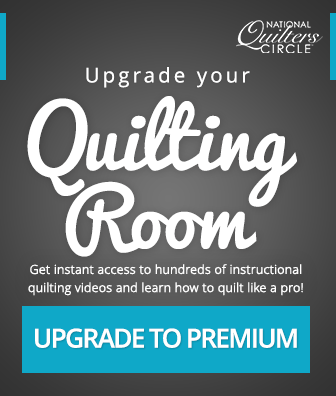 I continue to enjoy National Quilters Circle, and am very enthused that there are more and more videos of new and different teachers. Even if every video is not completely unique and new, there are frequently little tidbits that get my thoughts and ideas turning. Continue to inspire me! I have found great benefit from my membership. I look forward to the weekly emails. It’s like going to a quilting school but at my own convenience. Your instruction has improved my quilting skills! Heather Thomas and your other teachers are awesome. I have learned something new each time I log on. I’m a quilter, even though I can’t do it any more at age ninety with multiple physical problems along with eyesight degeneration. I think NQC will keep me in touch with the quilting world. Thank you. I joined NQC because I wanted to expand my knowledge. You can never stop learning. It is an awesome website – I love it! Thank you for the tips on quilting. I am a beginner so I took notes on some of your suggestions and thought they were great ideas for me! Personally, I decided to become a Premium Member when I was offered a discount deal. The Premium videos that I have viewed so far have been helpful. There are a lot of free videos on the site as well. True, there are free videos out there on plenty of sites. Always a choice folks, but I am not dissatisfied at all. Thanks for the discount, National Quilters Circle! I am impressed with your site and cannot believe I’ve never heard of it before. These videos are wonderful. I have just watched the one on how to make sure your pinwheel lies smoothly! Thank you NQC! I am a retired teacher living in the middle of Karoo National Park in South Africa and there is nobody nearby to help with quilting lessons. Your videos are extremely helpful! I just LOVE National Quilters Circle and can’t give you enough praise! All of your teachers are wonderful and you always keep it interesting. I have learned so much from your site. I have a group that meets once a month at an old town hall. We are all crafters, with some that crochet, knit, and of course make quilts. I am going to introduce NQC to them!